Join us for our monthly Reiki circle. We welcome all who are interested in practicing, experiencing and learning more about Reiki and other healing modalities. Our lives can be very stressful, always connected to the outside world through our phones, computers and social media, yet sometimes we feel alone. There are the gigantic challenges of juggling finances, family, career, and relationships which can be very draining, leaving us to feel like we are running on empty. This can cause high anxiety and stress. And with anxiety and stress, we become tired, disconnected, sometimes numb, and out of control while our self-esteem drops to new lows. We become very automated and our left brains (concrete and logical) take over when we meant to live from our whole brain, a combination of right (creative and feeling) and left brain. Everything is within us; the peace, the power and the transforming presence of love to live a healthy, happy, and fulfilling life. But how do we get from a place of stress and anxiety, to connect with that place of peace and power within? How do we restore balance and reclaim our innate life force to live freely and fully? Reiki heals the mind, body, and spirit. It is a powerful, yet very gentle, safe healing modality. Reiki provides deep healing by unblocking energy and putting your body back into proper balance. The vital element of life energy is the essence of this healing practice. Because of this, Reiki can be used in any situation where there is a desire for and openness to healing. A Reiki treatment consists of laying the hands on the body and allowing the energy of life to flow through the hands of the practitioner to the person being treated. It is a complimentary treatment that activate the body’s natural healing abilities and assists to restore physical and emotional wellbeing. For years, people have called upon a higher being to help mend their bodies and minds. In Reiki, we do the same by setting an intention to clear the body of imbalances and welcome positive, healing energy. Reiki can help you physically and emotionally. 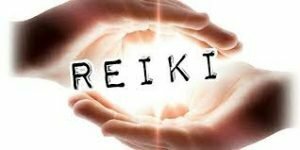 By channeling universal energy to you, Reiki helps you to relax, brings clarity, energizes, calms and helps you to solve problems. Reiki can relieve pain, accelerate natural healing, may help to prevent the progress of disease, detoxifies the body, and removes energy blocks. It also helps to release emotional baggage and increases the vibrational frequency of the body. The experience of a Reiki session varies from person to person since the intention and imbalances differ for everyone. Some possible responses are feeling heat or cold, seeing colors or light, involuntary muscle movements such as twitching, feeling extremely calm and relaxed or emotional. You may also have something not mentioned here or you may feel nothing, that’s OK, too. The Reiki is still working, no matter what you experience.